What is the meaning of Commercial Real Estate? You might have noticed that the “commercial” in commercial real estate includes the word, “commerce.” Commercial properties are intended to generate income whether or not the value of the land increases. 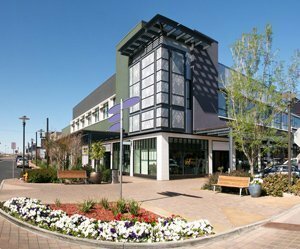 Commercial real estate holdings can range from rental apartment units to office buildings, to retail and industrial plaza units. These transactions, therefore, are extremely significant to the financial health of our clients and command the meticulous and professional attention that Howard Nightingale provides. What is involved in the purchase and sale of Commercial Real Estate in Ontario? The purchase and sale of commercial properties usually involves a number of complexities such as tenants and their leases and/or rental agreements, salaried workers with contracts and service contracts. All these must be examined and prepared for regardless of whether the client is selling or purchasing. Howard Nightingale’s services regarding these and other aspects involved in commercial transactions are detailed below. Investigate and review the title. Investigate and review the title and all other matters cited in the agreement to ensure that they are as represented, and that the title has in fact been executed, meaning that the transaction and transfer has taken place. Advise as to the applicability of the HST legislation as it concerns your property and calculate and ensure payment of the Ontario and/or Toronto land transfer tax for commercial properties. As well, we will prepare any mortgages to be given back and/or a personal property security agreement and will search under the Personal Property Act for registrations. Review all existing leases and/or tenancy agreements, as well as any service or employment contracts with respect to the property to ensure that there are no unforeseen problems or conflicts after closing. Next, Howard Nightingale will review the bill of sale if available, review the statement of adjustments and examine the land survey if one is available. And finally, we will attend on the execution of all documents and the closing, and discuss with the purchaser all matters that are related to the title, zoning and the statement of adjustments. In this way, our client is fully informed about all significant aspects of the property purchase. Documents include the transfer of the property, the bill of sale, the assignment of any lease and/or tenancy agreements and the assignment of the service contracts. The final document to be review is the executed (completed) agreement of purchase and sale. The last step is to attend on the closing and completion of the sale, and then advise our client in all matters pertaining to the agreement.